Running is in theory an inexpensive sport, just get some good shoes and go run right? Between the gear and the race registration fees – and travel if you choose to run in other cities, it can get pricey. If you have a family that runs, those races can add up too! A great way I have found to save on running is searching Groupon. 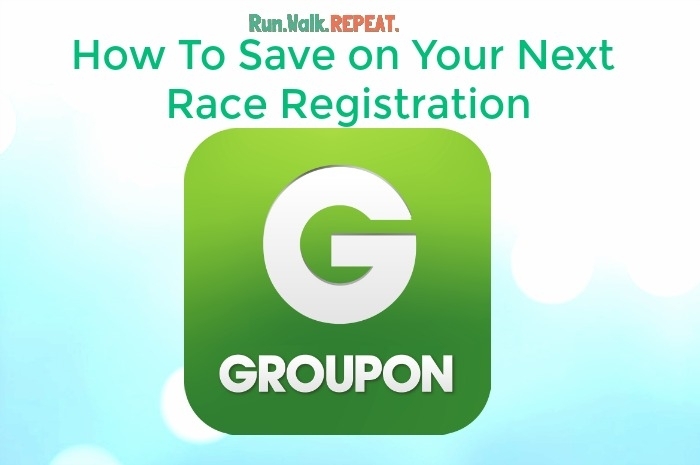 Along with products, restaurants and services, you can really save on race registrations with Groupon. The Family That Runs Together….. I hate running in the summer, I guess you could say it is my off season. It is hot and humid here in Atlanta, and well I just don’t find it enjoyable because I am slow enough and that heat really slows me down. This past week, fall is in the air and the desire to get outside running is back. I have been looking for some races to run, because I love running in cooler temperatures. I went to the Groupon to see what is out there and if I can save anything and there are LOTS of options! When you wait until last minute to register for a race, you run the risk it will sell out and typically the closer you get to a race, the more expensive the registration. 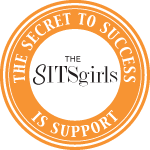 It can be hard for me to commit to a race weekend far out not knowing my daughter’s activity schedule, this is especially true for fall for me. Enter Groupon, a great place to view races that have registration spots open and to save on current registration fees. By just searching “running races” I was able to pull up all distances, from fun runs to half marathons to obstacle course races. I LOVE Savannah, so of course this was the first to catch my eye. Been wanting to the Rock ‘n’ Roll Half there, but alas another year, I will not be able to make it….it is quite the savings though! 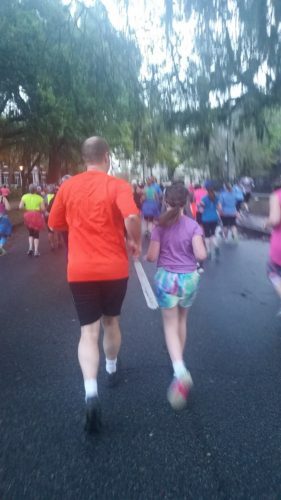 Looking for 5ks since my daughter has told me she wants to do some races with me, I came across the Bacon Run, which I classify as FUN RUN! 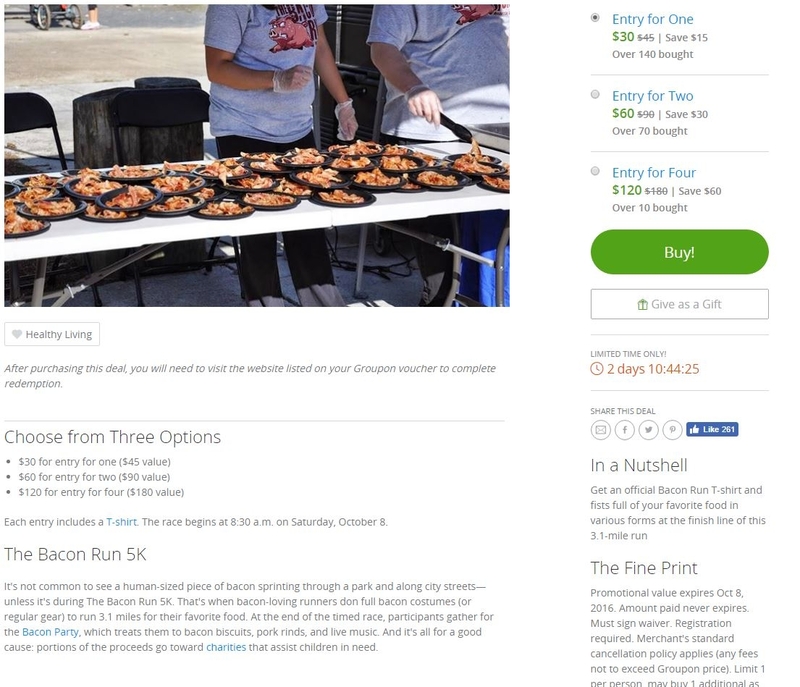 Who can pass up all you can eat bacon after the race right AND a Bacon Run shirt with a pig on it? Looks like a fun race! Its super easy to find lots of options when you search with Running, Race, 5k, etc and Groupon gives you all the information as you need to know about the race and your fee is there. AND a huge bonus, you can also search Groupon Goods to save on race gear. 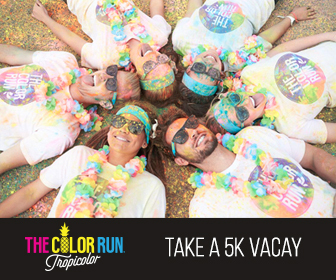 Whether looking for a colorful run, themed race, distance race or something to do on a weekend, check out Groupon and start saving on your next race registration. 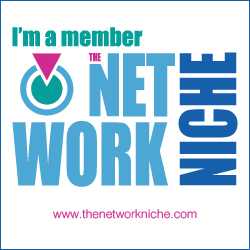 To keep up with all the latest deals, follow Groupon on Twitter and Facebook. 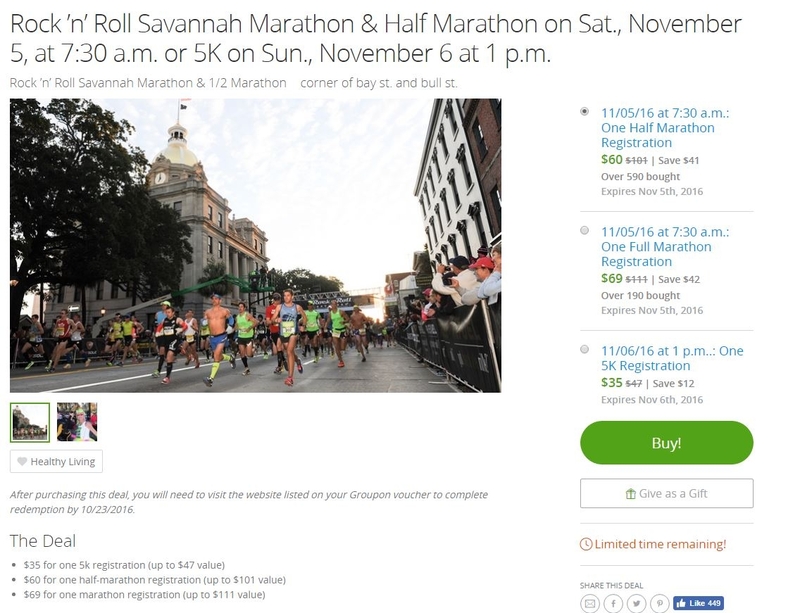 Have you used Groupon to save on a race registration?